If you read this blog pretty often, you’ve probably noticed that I reference my grandmother a lot. She had an incredible eye when it came to interior design. Deep down, I realize that most of my home and thrifting habits as an adult, are a direct result from watching her. Like my mother, she never talked to me about these things specifically, I just watched and absorbed it all. It makes me really think about what my kids and grandkids will remember about me. Will they remember the plants? The crazy colors? Or my love for neon nail polish? I think about these seemingly silly, yet powerful legacies often. When I think about my grandmother’s apartment, the apartment I knew so well, the apartment which was home for many for nearly 20 years, I think of beauty. All of the warm, fuzzy, and sappy feelings. When it comes to it’s beauty, the wallpaper stands out in my memory. My grandmother knew how to make a rental apartment her’s. I clearly remember she had this floral print wallpaper with a creamy background. It was subtle and beautiful. She had laid it on the walls of her railroad apartment so carefully. I would often find this tiny 5 foot woman up on a ladder, happily reapplying a new roll. She never asked for help, just sang a little church song along the way, and continued to apply that paper. From one side of the wall to the next, she made her apartment her own. When renewing our lease, and basically settling on this apartment until the unforeseeable future, wallpaper came to mind when I had the itch to redecorate. 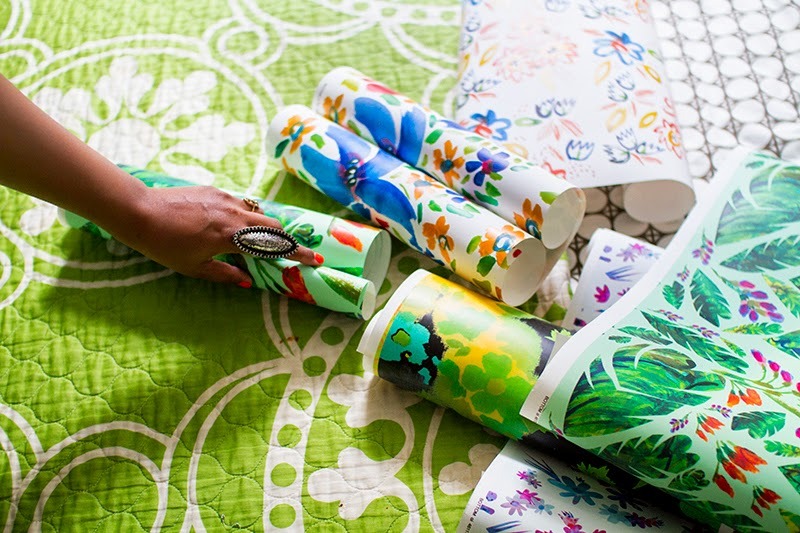 For me, wallpaper has the power to uplift and change any space with little effort. Yes, it takes upkeep, but it’s worth it. Especially when you’re working with a spall space, a space with rules, but still a space that will be home. These are the groundbreaking years for my kids, the years that pretty much define a lot of paths in their lives. It starts with Peter, myself, and this home. I’d rather make this place home in every way, then dream about someday moving and making that place home. These are our dreams, these are the memory making moments… right here and right now. 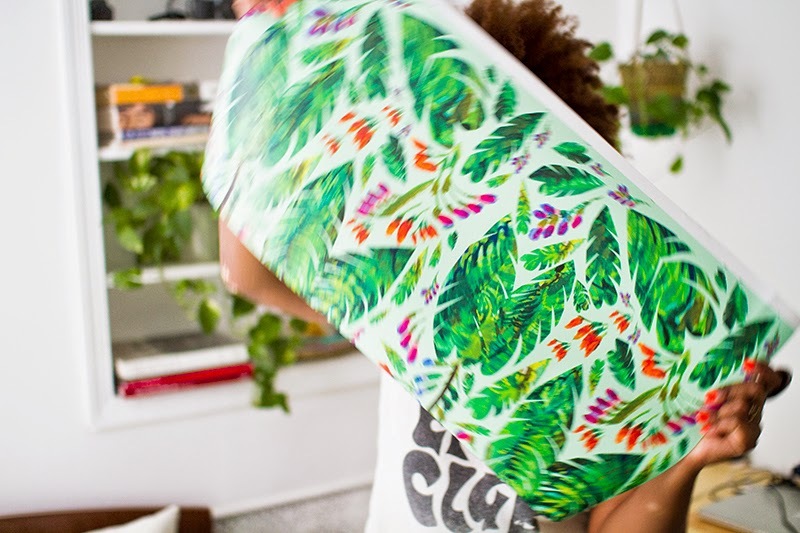 And goodness, if my kids remember that beautiful hand painted wallpaper that their mama threw up on the walls, and retouched every few months, that’s okay in my book. My friend Carter created all of these wallpaper designs for me to choose from, and I am pretty stuck on all of them. I’m excited to throw myself into some funky projects during this blizzard we are having here, this wallpaper being the first. 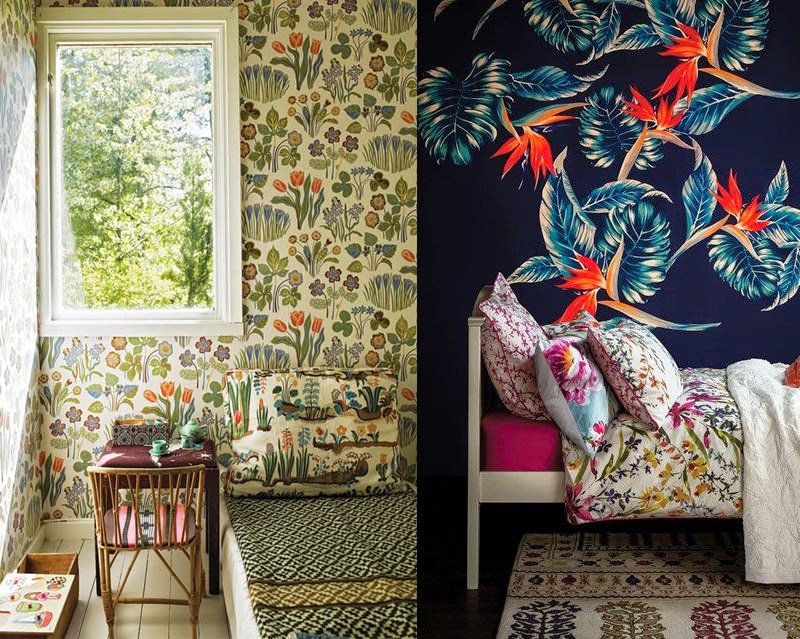 Here are a few more wallpapered room inspirations. 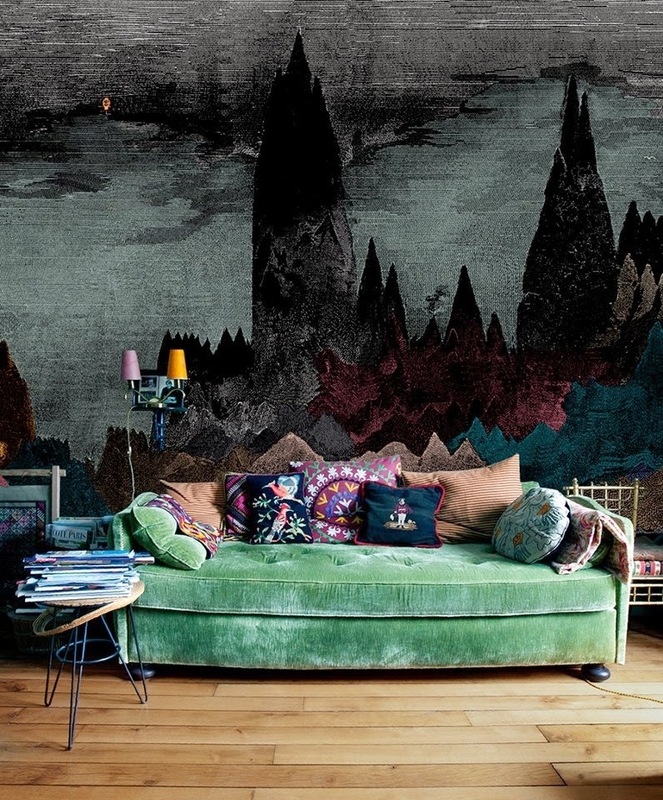 When it comes to wallpaper, are you a fan? I kind of wish I never painted any of the rooms and laid down a bunch of wallpaper instead. Though that thought can easily be attributed to the snowy weather, and me constantly pretending that my apartment is some sort of island. I probably would never leave this place if I did that. Never! That’s scary. This one is inexpensive, and kind of reminds me of that one my grandmother had. This is perfect for a gender neutral kids bedroom. This is kind of perfect for a bathroom. I love that this is considered a “don’t.” Lately it’s a total do! If my kitchen wasn’t the size of a closet, I would be all over it. Ah! Can I please own the home with the green couch? I am now on the hunt for some fabulous wallpaper. Great post! Do you mind sharing where your ring is from.? I love it! I'm such a fan of wallpaper, too. My grandma had this rich brown + gold pattern in her bathroom, and I always felt like royalty going in! I look forward to seeing the final result of your beautiful, wallpapered home! Wow ! I really love it !